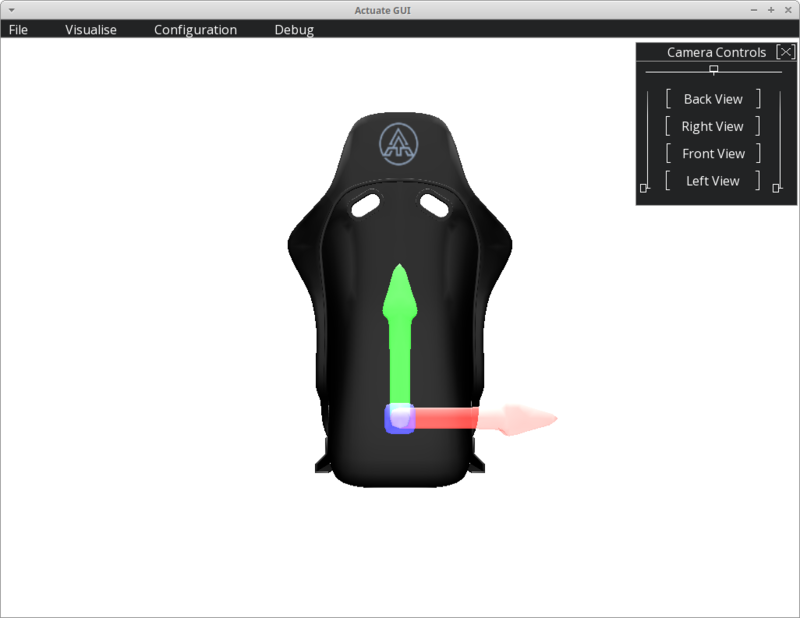 Actuate Motion is a piece of middleware software designed to help integrate motion hardware support to games or simulation software. Actuate Motion is designed to be extensible via plugins to allow easy support of different hardware, and to allow different methods of telemetry acquisition. To make selection of the correct input plugin as easy as possible, Actuate Motion has a built in watcher, that watches for specified processes and loads the associated input plugin when they are detected as running. This watcher allows the end user to simply play their games, with Actuate Motion providing seamless motion support. Once configured, for the end user to be unaware of its presence. 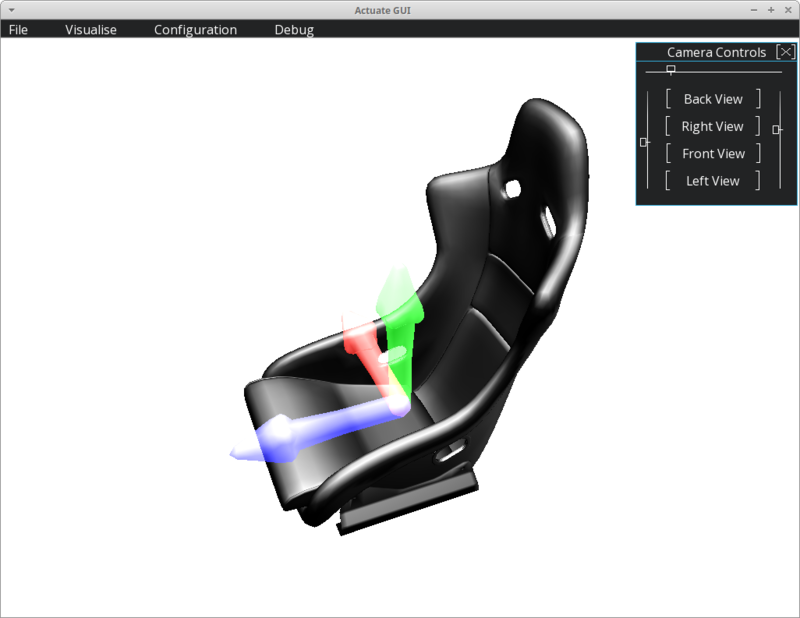 To provide a single integration so that game or simulation software can easily offer multiple motion hardware support. Install and forget. Actuate Motion runs in the background and watches for games. Simply start your computer, run your games, and Actuate Motion seamlessly provides motion. With intelligent defaults, you may not even need to configure anything at all. Actuate Motion is built on a plugin based architecture, which means that Actuate is future proofed. Need a new game supported? That’s a plugin. Need a new motion rig supported? That’s a plugin. In addition, you can run multiple output plugins at the same time. Need a dashboard and motion? No problem, just activate the output plugins you want. Feel it all, with up to 6 degrees of freedom supported, virtually any motion can be realised. See movement in real time, from any angle, with the built in 3D visualiser and camera controls. A must when integrating motion without access to the hardware! 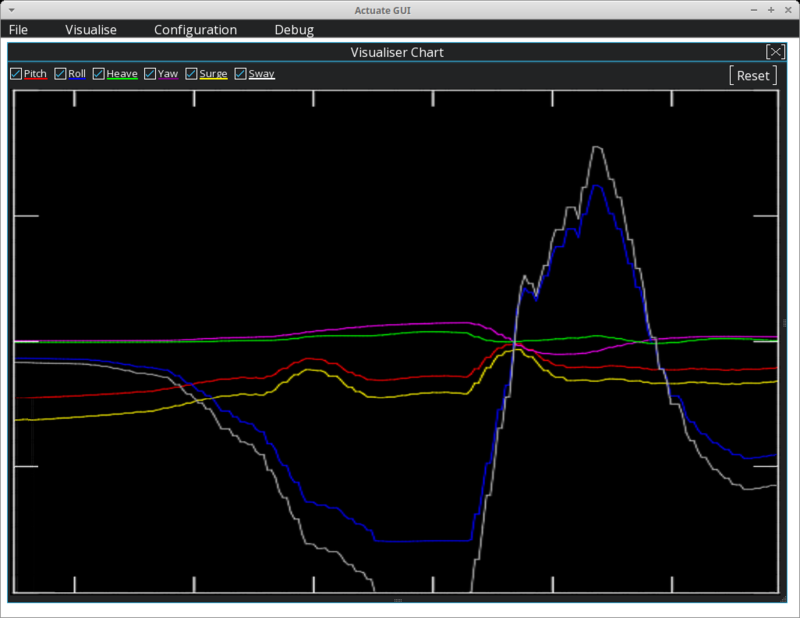 Easily see exactly what data is being sent to each axis. Set up your motion exactly as you want it easily for each application. If an application is detected as running, Actuate Motion will not only load the correct input plugin, but will also automatically load your preferred settings. 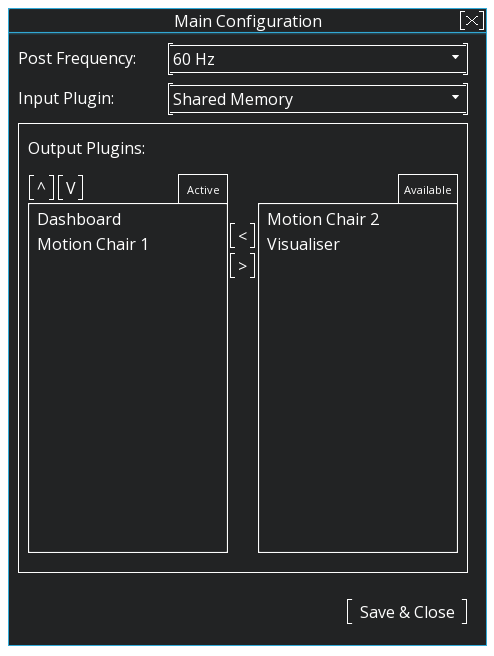 Integrate motion with your own projects with our easy to use plugin for Unity. Drag and drop a prefab and you’re good to go. If you’re not sure, just load up our sample scene and see a working example. This website is not sponsored by or affiliated with Unity Technologies or its affiliates. “Unity” is a trademark or registered trademark of Unity Technologies or its affiliates in the U.S. and elsewhere. Use our provided sample component to integrate motion straight into your Unreal Engine 4 project, full motion support in minutes. Provide your own motion data from just about any programming language by using our C API. Ultra-compact motion simulators providing high fidelity motion detail and seriously powerful accelerations to provide a truly exhilarating ride experience. With 25+ titles already supported, the chances are that the game you want is already available. If not, then our dedication to listening to customers and continual development means that you’ll be moving before you know it. © 2019 Blueflame Digital Ltd.